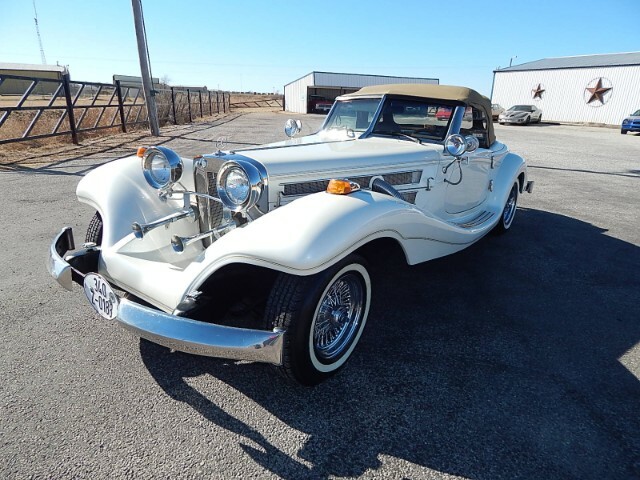 Finished in classic Peral White with beautiful Tan leather interior and Tan convertible top. This incredible reproduction of the great Mercedes-Benz 500K special roadster has been factory built to nearly original specifications. It is fitted with a reliable Chevrolet 350 CID V8 engine as well as automatic transmission, power steering and much more! Bid with confidence - you will not be disappointed in this truly stunning 500K tribute! Message: Thought you might be interested in this 1934 Mercedes-Benz 500.